Stream Fallback option. Failsafe stream. 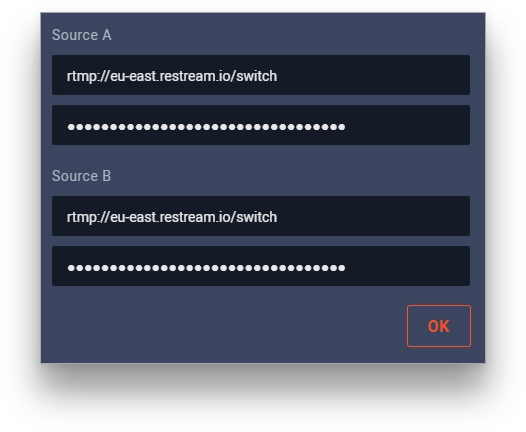 Fail Safe Stream Backup or simply Fallback - is an automated system that switches between two of your incoming streams (ingests) in case of any troubles with your main stream source without interrupting stream for your viewers. 1. To get this option, you need to subscribe to our Business plan, or request it in the Enterprise package. 2. 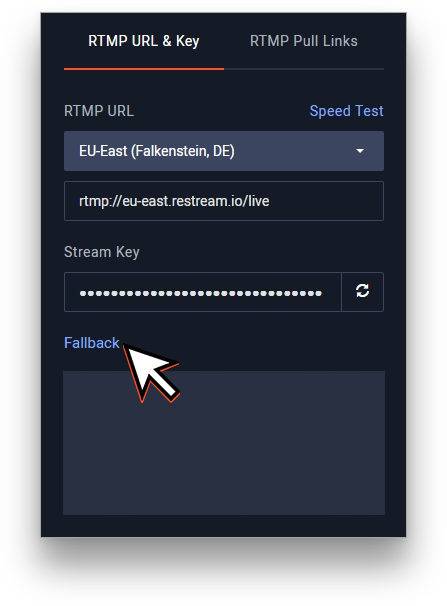 After you have this option enabled proceed to your Restream dashboard and click the "Fallback" link below your stream key. 3. 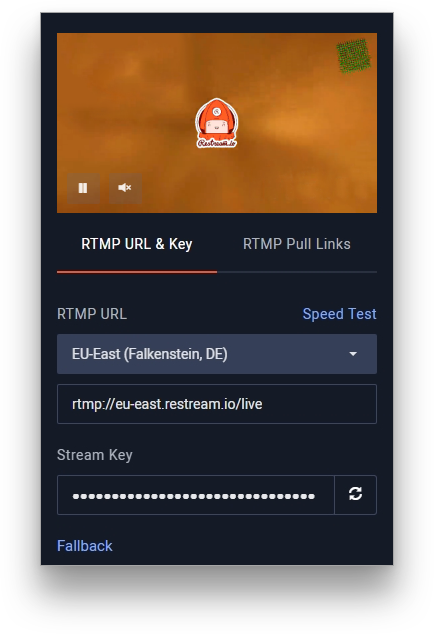 In a pop-up window that shows after there will be two RTMP links (they are identical and are determined by the server you have chosen) and two different streaming keys. 4. Source A is your primary source and Source B is your backup source. You need to setup 2 separate encoders - first of them should stream to Source A, and the other one should stream to Source B. Important: the settings of both streams has to be 100% identical for a seamless switch. If there will be significant differences in stream settings, there may be an interruption for your viewers in the moment of losing connection to the main server. 5. 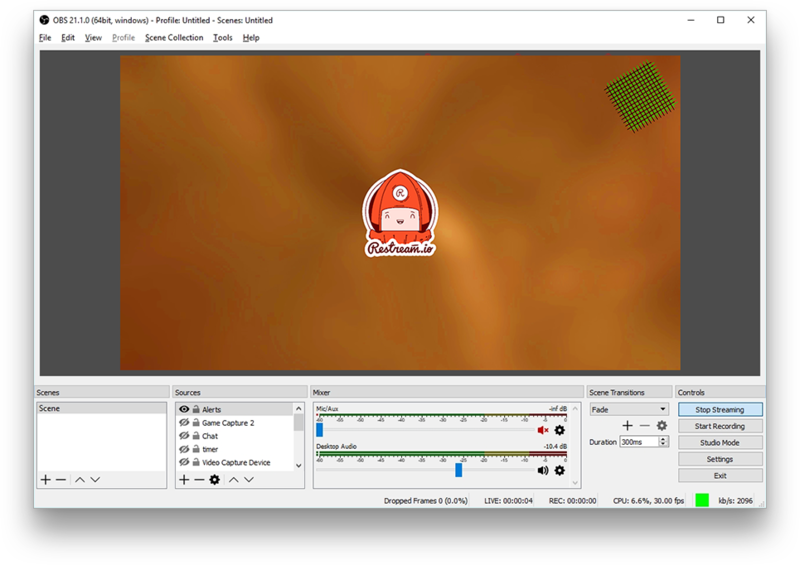 After setting up both encoders, start streaming, and your stream will be delivered to Restream.io and all your connected services. If anything happens to your primary stream the system will seamlesly switch to another source with no visible transition.